Only the Polar Group has more than 50 ice foam models developed specifically for professional use and 9 ice gel models, ideal for transportation and thermal storage. 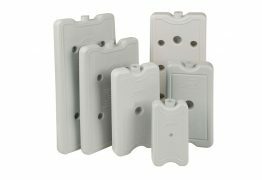 Distinct market solutions with unique technology and specifically developed to ensure the integrity of temperature sensitive products during transportation and storage, whether they are from 1°C to 10°C, 2°C to 8°C, 15°C to 25°C, 15°C to 30°C or negative. 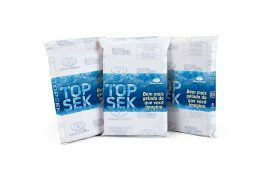 Top Sek® is the only ice-foam on the market with unique technology that allows the absorption of up to 90% of the condensation water. Thermal element with unique properties that guarantee the stability of the thermal maintenance of cold chain products. 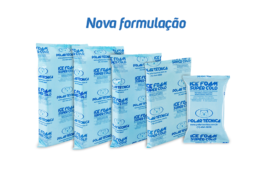 Ice Foam® and Top Sek® Thermal Blankets are designed to be placed between the ice and the transported product. New Formulation! Super Cold® is the first national thermal element designed to ensure the thermal maintenance of items that require negative temperatures. Thermal solutions developed to replace conventional ice in the most varied types of situations. Ideal for maintaining the temperature with quality. 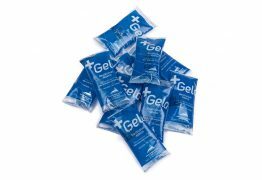 The +Gelo Ice Flexible Gel has been developed to complete the Polar Group's ice gel thermal line. 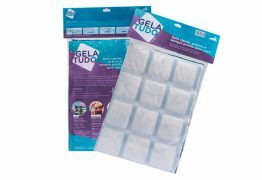 Gela Tudo is the perfect solution to replace conventional ice in a variety of situations.